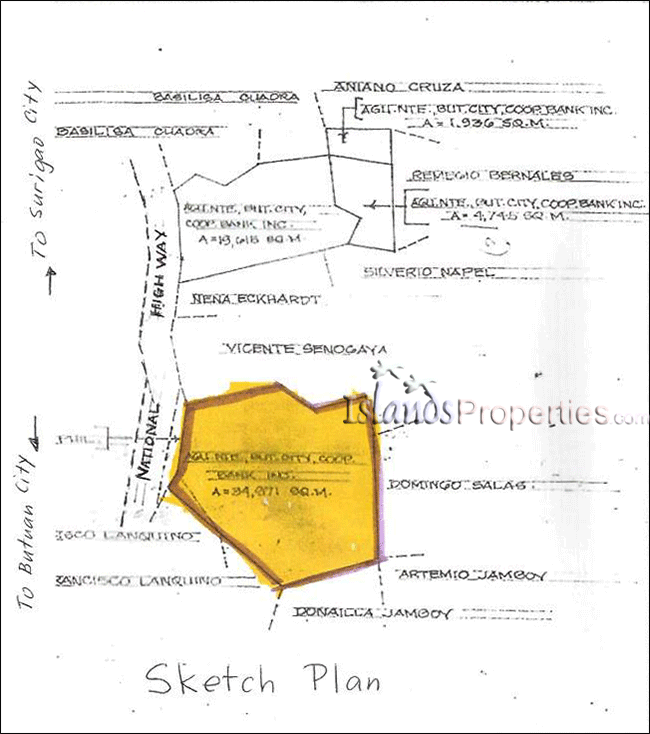 This property is along the National Highway situated in Mindanao's western section of Caraga. BORDERS: Butuan Bay-Northhwest; Surigao Del Norte-Northeast; Surigao del Sur-Mid-East; and Agusan del Sur-Southeast. LOT AREA 34,971 sq. m.